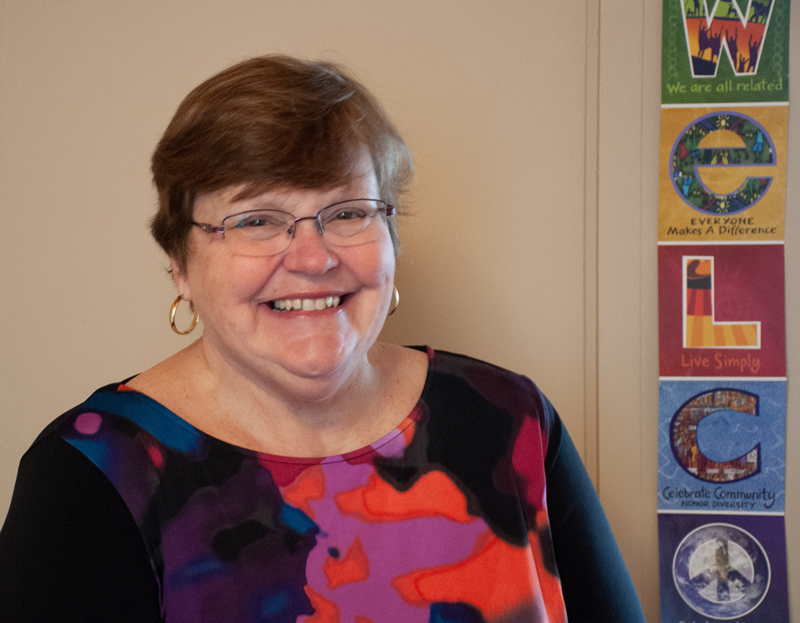 Suzanne Di Piazza joins St. Clare’s staff having most recently served with St. John’s Episcopal Church in Midland, MI. A military spouse for 25 years, the Nashville, TN native has called many other locales across the country home, including Bowling Green and Lexington (KY), Midland, Muskegon, and Gross Pointe Farms (MI), Yuma (AZ), San Diego (CA), Honolulu (HI), Quantico (VA) and both Carolinas. She attended Arizona Western College, Aquinas College in Grand Rapids, MI and St. Mary of the Woods in Terre Haute, Indiana. 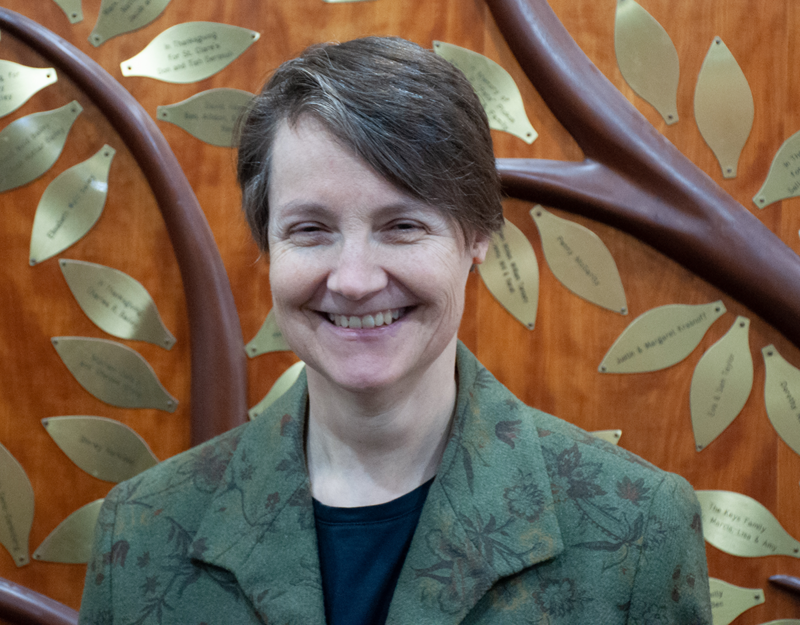 She’s served as the Director of Religious Formation for faith communities in six of those aforementioned cities. For nine years she directed a program that doubled in size and included hundreds of children and teens at the Cathedral of the Incarnation in Nashville, Tennessee. Besides working and volunteering in churches since she was a young adult, Suzanne has volunteered or worked in elementary and middle schools, remedial reading programs, with Big Brothers Big Sisters, American Red Cross, and the Humane Society. Suzanne lives with her husband, Kevin, and dog, Ruby. Kevin is an Air Force veteran who works for the VA hospital in Ann Arbor. She has family in Scottsdale, AZ, and Ann Arbor, Muskegon, and Walled Lake, Michigan. Her daughter, Carly Southworth, resides in Nashville. Her son, Matthew Southworth, her daughter-in-law, Heather, and her 3 delightful grandchildren live in the Kalamazoo area. Her step-daughter Cydney and her husband Jeff live in Canton. Besides children and dogs, Suzanne is devoted to the Trinity, family, friends and social justice issues. She enjoys reading, painting, scrapbooking, organizing, and nature walks. John was born in Baltimore, MD and graduated from Oberlin College and Conservatory in 1998 with degrees in economics and piano performance. He completed a master’s degree in orchestral conducting at the University of Michigan in 2003. He started his musical adventures at age 5 studying piano and composition, and was singing professionally as a boy soprano at age 8. John joined the St. Clare’s family in 2007, and is also the Artistic Director of The Music Project, a non-profit he founded in 2009 empowering young people to create emotionally engaging and intellectually relevant artistic presentations delivered through multiple channels including live performance. He is Director of Orchestras at Greenhills School, has served as Music Director and Conductor of The Life Sciences Orchestra at the University of Michigan and the Ann Arbor Youth Orchestra. He has worked with the Saint Louis Symphony Orchestra, the Detroit Civic Orchestras and other ensembles in the US and abroad. As a choral conductor, he has worked with the Boychoir of Ann Arbor (7 years) and with numerous local and regional opera companies. 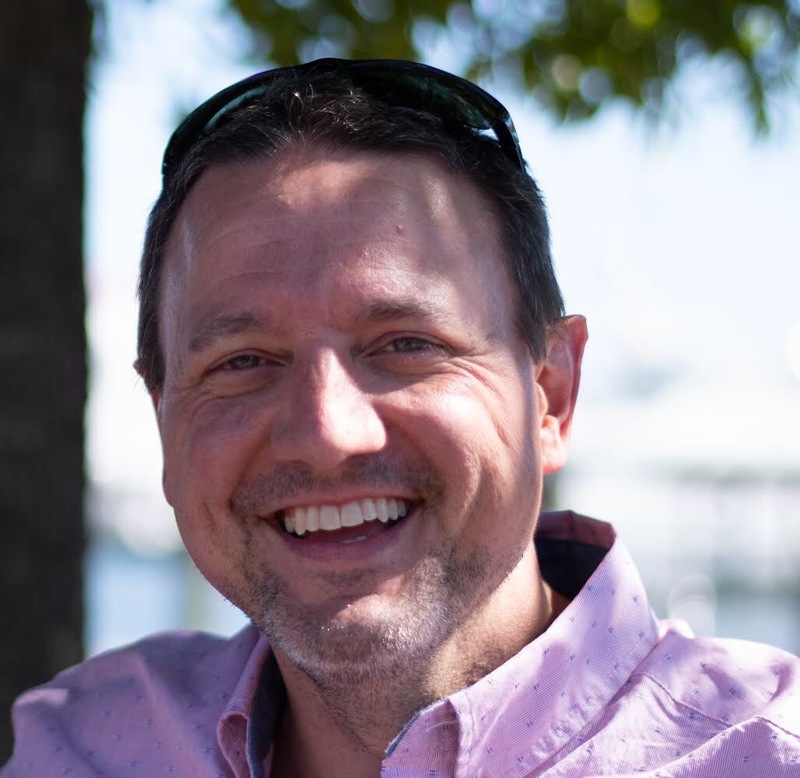 He maintains an active teaching and coaching schedule, and is managing partner of Post Companies, LLC, a web services and consulting company specializing in communication tools for organizations around the world. He has served on the Standing Commission on Communications and Information Technology for the Episcopal Church, sits on various boards of local non-profits, and is a member of the Episcopal Communicators network. Karen joined St. Clare’s staff as Parish Administrative Coordinator in 2011 and loves working with this energetic and visionary group. Karen also coordinates office and church school volunteers, edits the parish newsletter, and manages many of the details of sharing space with Temple Beth Emeth and others. You’re most likely to find Karen in the office on Tuesday (afternoon only), Wednesday, or Thursday.